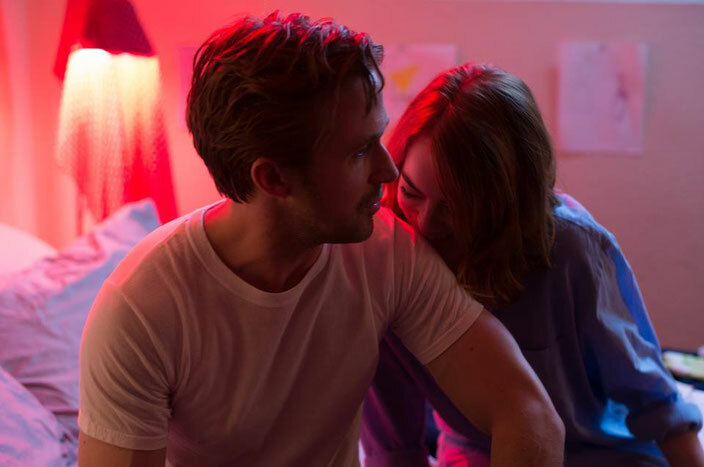 Aspiring actress, Mia (Emma Stone), and devoted jazz musician, Sebastian (Ryan Gosling), are struggling to make ends meet in modern day Los Angeles. A series of chance meetings soon lead to a joyful romance - a love that will be tested as both seek to pursue their dreams. Director Damien Chazelle’s latest film (after his superb 2014 movie, Whiplash) was to be a romantic musical drama starring Emma Stone and Ryan Gosling. A magical, if enigmatic teaser trailer followed and anticipation climbed to fever pitch. La La Land became one of the must see movies at the BFI London Film Festival and its glorious original soundtrack (created by Justin Hurwitz, who also composed the score for Whiplash) was played on hard rotation in the weeks leading up to the film’s release. However, despite the five star reviews and the increasing pile of awards, concerns (and the inevitable social media backlash) started to grow about La La Land. How could it possibly live up to all of our excitement and anticipation? La La Land is an adrenaline shot of pure joy. It is the answer to every bad day that you have ever had and probably will ever have. It is the film that we all desperately need right now. Shot in wide-screen CinemaScope, Chazelle’s opening scene takes us into the middle of a traffic jam in Los Angeles. Zooming past each gridlocked car we hear snippets of different varieties of music - and then begins the film’s first song and dance number. For La La Land is, of course, a musical and it sets its stall out early. Now, musicals are not for everybody. There can be something quite jarring when a character in a film suddenly bursts into song. However, La La Land's energy and gorgeous, iridescent colours (Linus Sandgren’s cinematography is absolutely stunning) are irresistible, allowing us to relax and enjoy the glorious spectacle as the story unfolds. Indeed, the triumph of Chazzelle’s film is in its ability to hark back to the golden age of musicals and, at the same time, move the genre forward into the future - creating a wonderful blend of retro and contemporary cinematic tones. Emma Stone and Ryan Gosling prove perfect, timeless leads - each giving superb, nuanced performances and developing on screen chemistry that was evident in 2011’s Crazy, Stupid, Love. Their singing and dancing is not Astaire and Rogers perfect, but it is not meant to be. The point is that we love them for their imperfections, for their gorgeous vulnerability. La La Land is an utterly joyous cinematic experience. However, this film is far from an unbridled saccharine fest. In a similar (yet far less bloody) way to Whiplash, Chazzelle uses his film to explore the conflict between love and ambition, the balance between professional aspirations and personal desires. Mia and Seb experience a wonderful love while also seeking to pursue their dreams. Inevitably, this leads to sacrifice and compromise. La La Land’s imagination-fueled scenes suggest that the quest to ‘have it all’ can prove difficult and painful, a state perhaps only attainable in fantasy - and in the movies. La La Land is a love letter to cinema. However, the film wears its influences and visual references lightly. Don’t expect any nod nod, wink wink cynical self awareness. La La Land was born from a love of Hollywood’s golden age of musicals and has genuine and unexpected innocence at its heart. 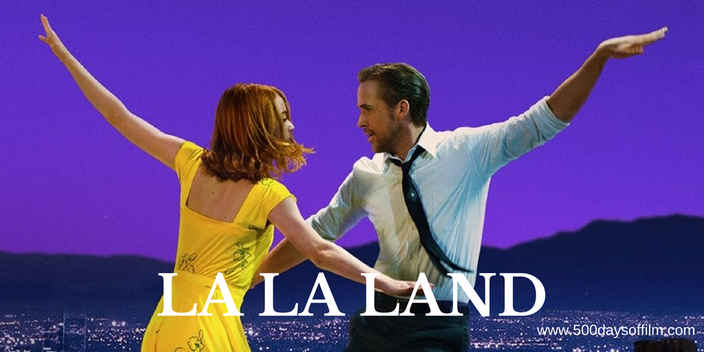 La La Land manages to achieve the perfect balance of glorious, foot tapping, song humming enjoyment while also asking interesting questions about the price we are prepared to pay to achieve our dreams. If you have, what did you think of Damien Chazzelle’s musical? Let me know! Just leave me a comment in the box below.